"The powder snow slopes on the Diedamskopf are amongst the most beautiful that I know," says an enthusiastic touring and deep-snow skier. Among the most beautiful? He must have been referring to Damüls-Mellau and Warth-Schröcken as well, right? But of course! At over 2,000 metres elevation and boasting deep, glistening snow! The mountain station of the gondola lift is located just below the summit of the Diedamskopf mountain. From the panorama terrace of the mountain restaurant, marvel at the nearly 300 peaks of the Bregenzerwald and Allgäu Alps bathed in sunlight. But why just look when you can get moving? Here there are perfectly groomed slopes at all levels of difficulty to be enjoyed. Even somewhat spoiled skiers can get their kicks here: Descending 1,200 metres on ten kilometres of slopes down into the valley is pure joy. 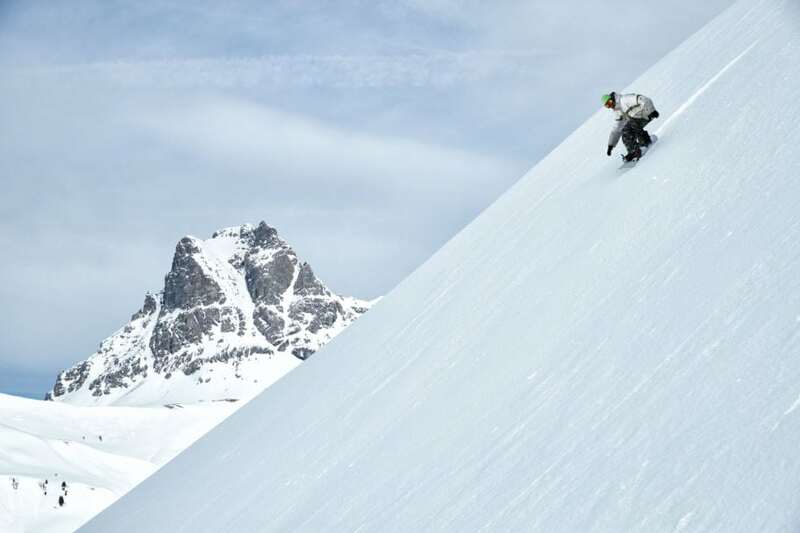 For freestylers, the slopes are less of a priority. They instead prefer to twist and turn through the air and over 35 ramps and kickers at the Diedams Park. Then, of course, there are those for whom the sign-posted slopes merely indicate where they don’t want to ski. “The powder-rich slopes on the Diedamskopf mountain are amongst the most beautiful I know,” says enthusiastic ski-tour and deep-snow skier Thomas Dietrich from Mellau. “The natural snow here is a dream come true until spring!” Either way, he’ll still needs a ski pass. For many, the real skiing begins at the edge of the Bregenzerwald. Long before it surpassed even itself, the Warth-Schröcken ski area was one of the largest in the country. Now it is connected to Lech-Zürs via the Auenfeldjet cableway. The Flexenbahn in turn runs from Zürs to Stuben/Rauz. 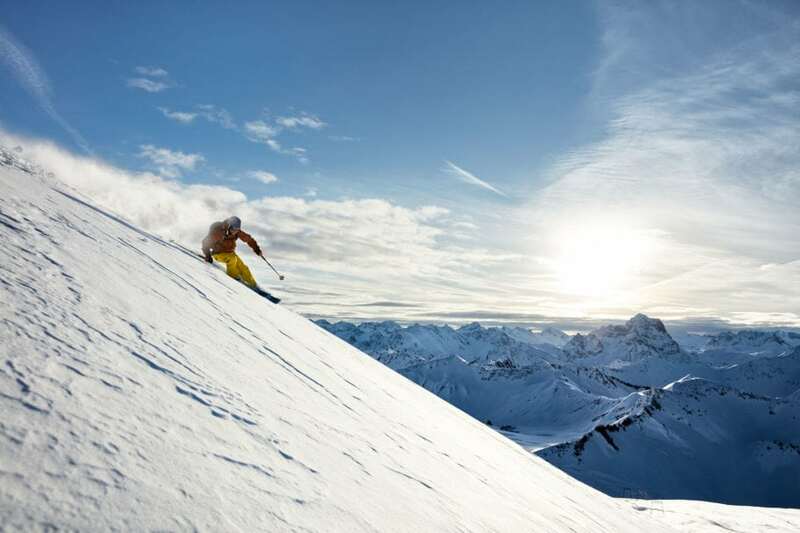 In no time at all, skiers suddenly find themselves in the Ski Arlberg ski region. Some call it a ‘Mecca’ because they come here every year on “the Hajj,” a veritable ski pilgrimage. After all, the area features over 300 km of slopes and almost ninety cable cars and lifts! 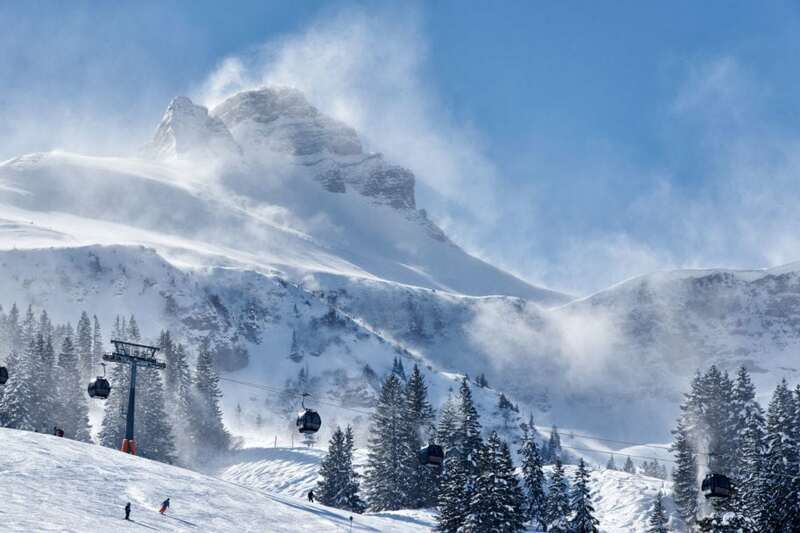 It’s Austria’s largest ski area and one of the largest in the world! Best of all, it starts in Warth. So too does the ski circuit “Run of Fame,” which is dedicated to Arlberg’s skiing legends. Across 85 kilometres of slopes and 18,000 metres of altitude difference, you can revel in their achievements on the slopes as you seek your own glory. The ski area is open until at least Easter and is situated at 2,500 metres above sea level. Truly, snow is water in its most beautiful form. One hundred kilometres of slopes are a winter sportsman’s delight. After all, who wants to ski the same route twice? The skiing and snowboarding fun never ends for families in the Damüls-Mellau ski resort, which features modern lifts (even the nostalgic love these modern marvels), a 10-passenger gondola lift, and two illuminated ski tunnels. Not to worry, the tunnel slopes downhill so you don’t have to worry about opposing traffic!